Sharp has announced a new prototype display, called the Sharp Free-Form display, and it could possibly change the displays we use in our every day devices in the future. Current displays, like our smartphone or tablet display have components and circuits in their bezels, but this new display has the circuits in the actual display, which means we could see devices with virtually no bezels or ultra slim bezels, this also allows for new designs. 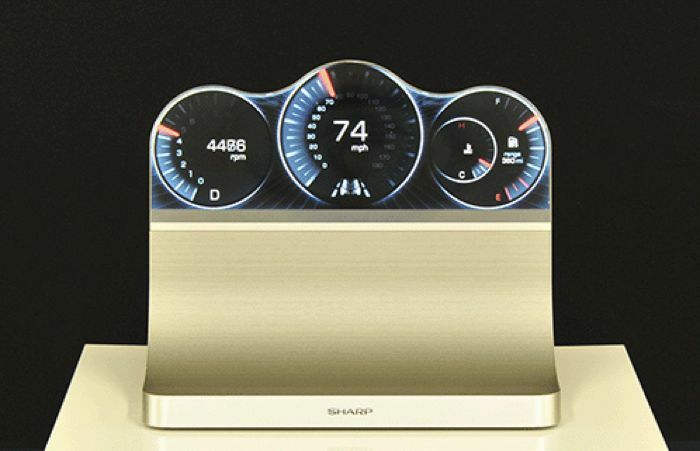 The photos that sharp have released of their new Free-Form display show off how this technology could be integrated into cars, for things like the stereo and navigation display and also instrument clusters. It certainly looks very impressive from the photos, and as well as in vehicle applications, this technology could also be used in a wide range of other devices in the future, like smartphones, tablets and even smart watches. 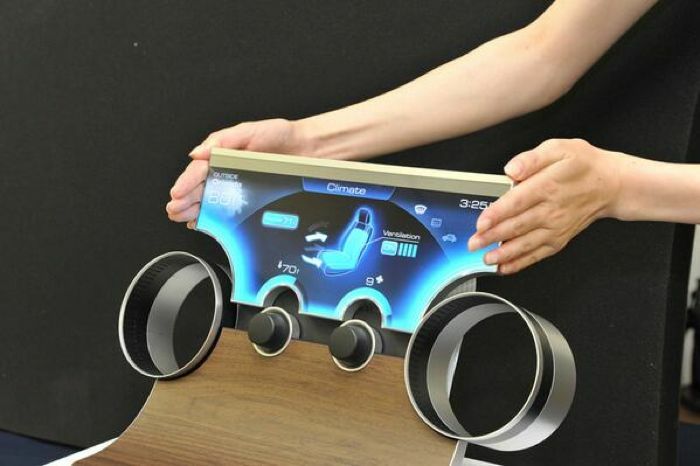 Whilst the Sharp Free-Form display is still a prototype, the company has plans to start manufacturing these new display, and they are looking to put them into production ‘at the earliest possible date’.